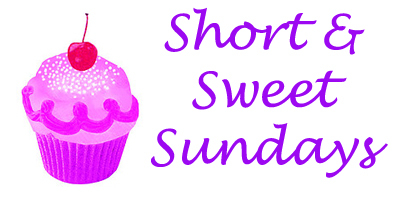 In honor of Sunday – a day I reserve for reading and lollygagging – I bring you a short and sweet book review! For more of my “Short & Sweet” reviews, go here. The gist: (From Goodreads) After the death of her best friend, Abbey feels abandoned and alone. She tries distracting herself by creating perfumes, but true distraction comes in the form of Caspian, the “total hottie” she meets in the Sleepy Hollow cemetery. Abbey quickly falls head over heels in love with Caspian, although she struggles with his mysterious and elusive demeanor. Just as things seem like they are back to normal, Abbey makes two discoveries: she finds Kristen’s secret diary that reveals she was hiding something from Abbey, and she learns Caspian’s true identity. On the verge of a breakdown, Abbey’s world slowly begins to unravel when she realizes Sleepy Hollow may hold more truth than legend. Why I read it: I’m a HUGE fan of Washington Irving’s Legend of Sleepy Hollow, so any book or movie that touches on this Halloweenie masterpiece really sparks my interest. How could I resist a gothic mystery involving a creepy cemetery, an alluring ghost boy and the headless horseman?!? It’s like this book was tailor made just for me! The perks: Despite its many flaws, this is a fun little Halloween read. The new spin on the legend of the headless horseman is entertaining…although Washington Irving is most likely rolling around in his grave. I liked the spooky atmospheric graveyard, where Abbey would spend her days reminiscing about the good times she had with her best friend. Apparently the two weirdos liked to hang out at Washignton Irving’s grave, where they would tell ghost stories about the Headless Horseman and giggle about boys. The drawbacks: The love connection between Abbey and Caspian seemed forced. I can’t put my finger on it, but I just didn’t feel the heat radiating off of these two star-crossed lovers. They’re just so nice and sweet and polite …yawn. I don’t mean to sound harsh, but it felt like the author wasn’t really feeling it, but she had to fuse them together to appease her swoony teenage readers. While I’m at it, I should also add that the editor should have been more heavy-handed with the red pen. The story would have moved along at a much quicker pace if it wasn’t bogged down with superfluous details about Abbey’s day-to-day motions like mixing scents, organizing her uncle’s office or working on a science fair project. As for the mystery, Abbey’s obsession with Caspian eclipses her interest in her friend’s disappearance. If you’re looking for clues and red-herrings you won’t find them in this book. This book is best pared with: A steaming mug of apple cider and a glowing jack-o-lantern. I know it’s crazy to be thinking of Halloween in April, but what can I say? I’ll say it loud, I’m a Halloween freak and I’m proud! Overall: To quote Randy Jackson: It was just OK for me, dog. I’m not itching to jump right into the next book, but I’ll probably get around to it. The author really didn’t crack open the case of the missing best friend until the very last chapter, so I’m hoping she’ll get down to business in the next book. Plus I want to figure out what the heck is going on with Caspian’s inexplicable link to the Headless Horseman! Posted on April 1, 2012 by Bubble Bubble Books and Trouble •	This entry was posted in Short and Sweet Sundays, YA Paranormal and tagged headless horseman, Jessica Verday, sleepy hollow, the Hollow, young adult paranormal. Bookmark the permalink.